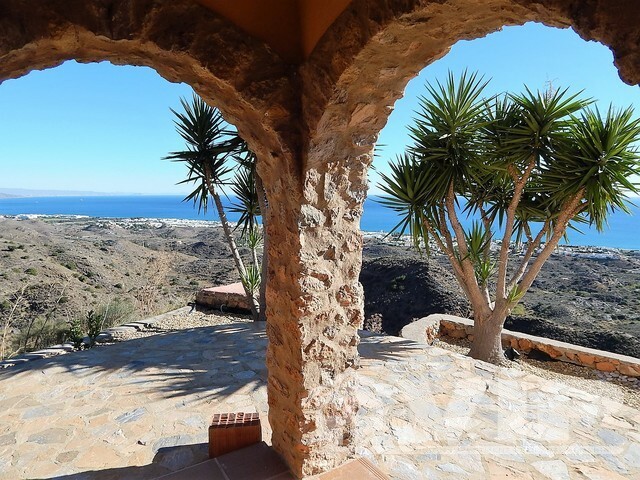 This is a unique opportunity to purchase a special property in Mojacar Playa. 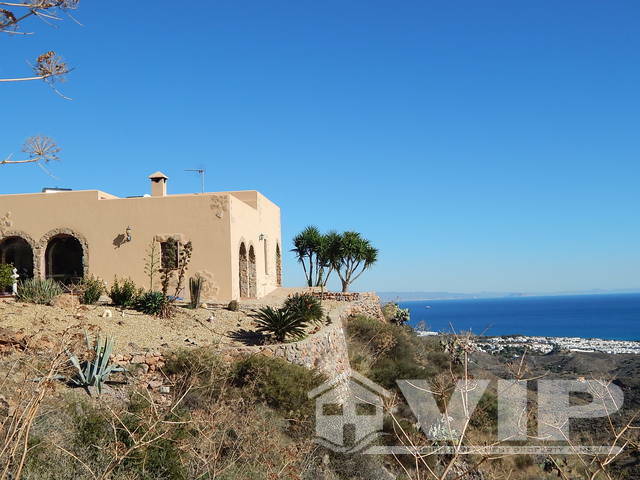 This is not one but two properties with its own mountain of 57,193M2 (5.7 Hectares) surrounded by protected park and with olive, Yuccas and orange trees (automated watering system in place) so very low maintenance. 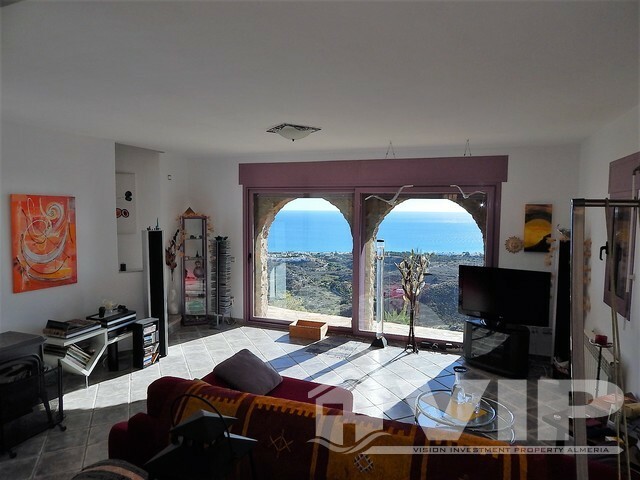 This stunning South - East facing property has being fully reformed to a high standard finish in 2005 positioned 130 meters above sea level with 270 degree sea views along the coastline. 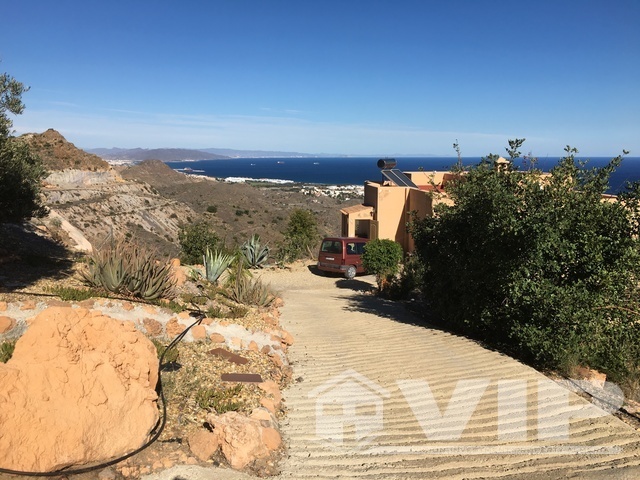 By car, it is 10 minutes drive to the beach and entry is via a 6 meter gated entrance with a 260 meter long driveway to the property. 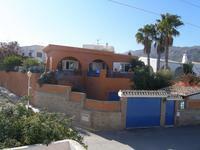 It is 10 minutes walk to the Pueblo (Mojacar Village) or approx 1KM drive. This was completed in 2005 comprising of 117m2 providing an open plan aspect with natural stone and high end materials to give the best insulation qualities undertaken by a Swiss project manager. 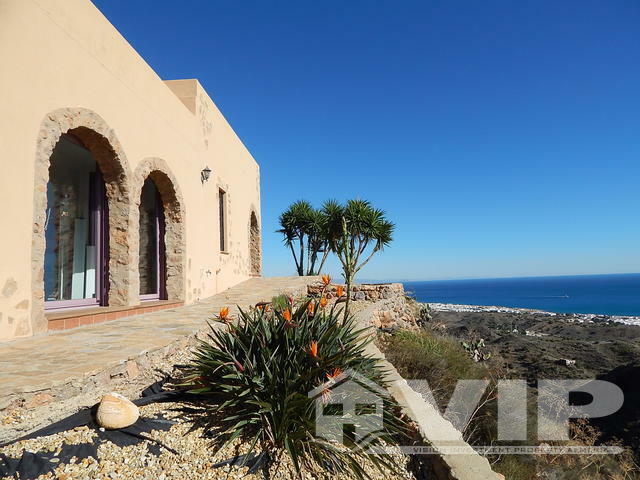 Double glazing Aluminium windows and doors (wall to ceiling 3m high) to maximize its stunning position overlooking the coastline of Mojacar to afar as San Juan. 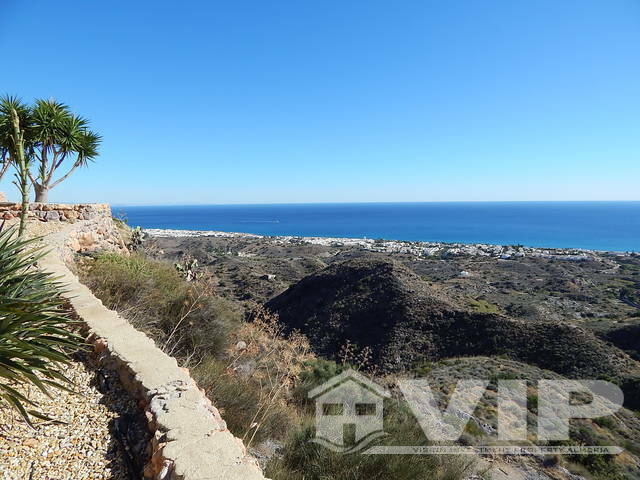 The views are some of the best i have encountered in my 15 years living here in Mojacar. The main home is entered via an entrance hallway to an open plan kitchen / dining room with a split level lounge with over 60m2 of space which is perfect for hosting events or friends whilst soaking in the amazing panoramic views. 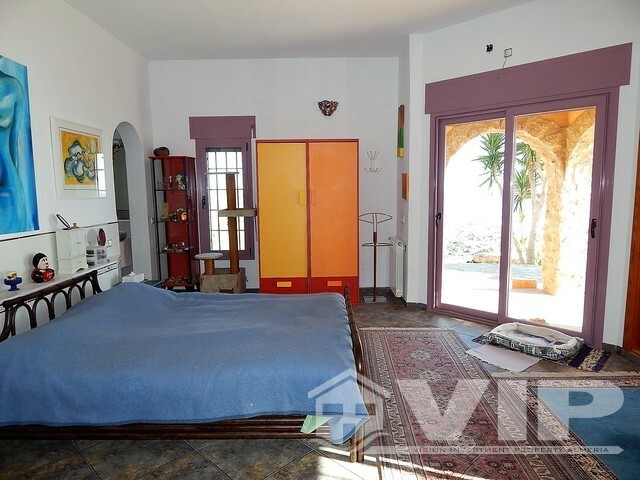 There is a staircase to the master bedroom which is a suite of 30m integrated with a corner bath, large built in wardrobes and separate toilet room with double sinks. This was completed in 2006 with 123m2 of internal space finished in high quality materials. 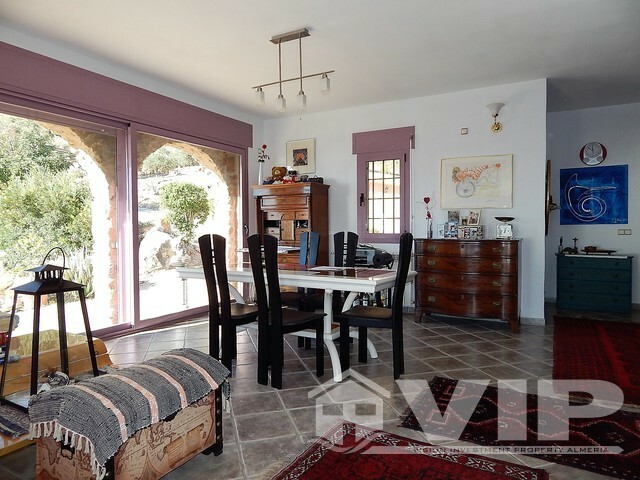 The entrance hall is 33m2 which is currently used as a entertainment room with a Billiard pool table and bar, it can be be used any a number of other purposes. 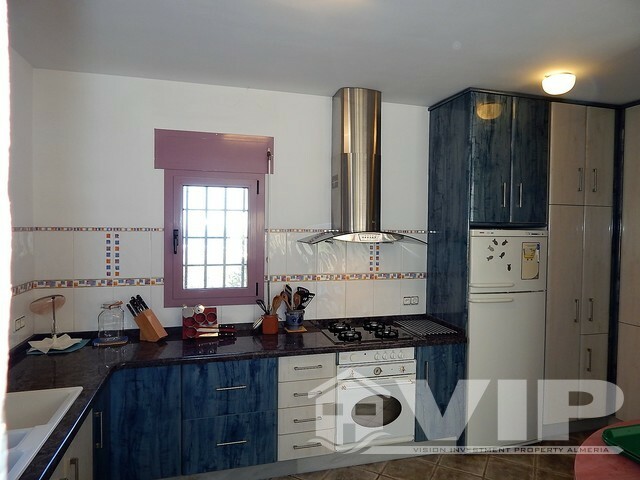 There is a self contained apartment with 24m2 of space with a double bed, fitted wardrobe wall and a fully equipped kitchen including washer. 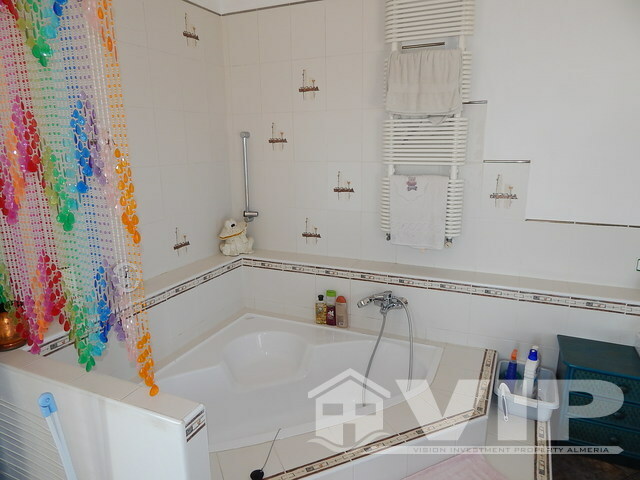 A walk in shower room next door then two other rooms, one is storage and the other currently used as an office both 14m2 so they are spacious for additional bedrooms. 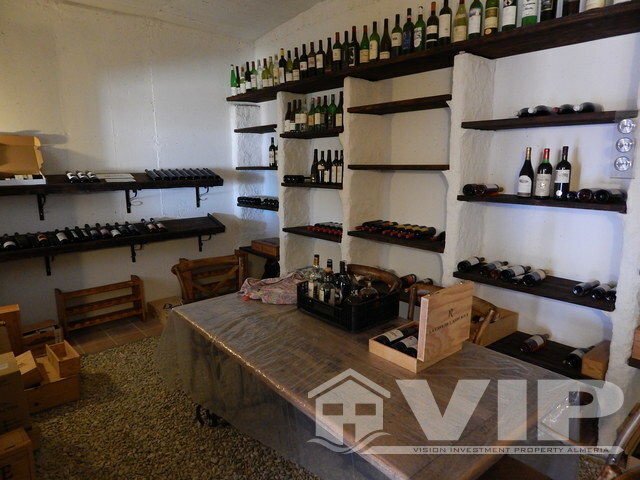 The jewel in the crown of this property is a "Bodega" which is a rustic wine cellar nestled behind an antique wooden door, this is a very impressive room of 17m2. A combination of 240 meters of buildings together making it suitable for any number of purposes from a rental point to a yoga retreat. 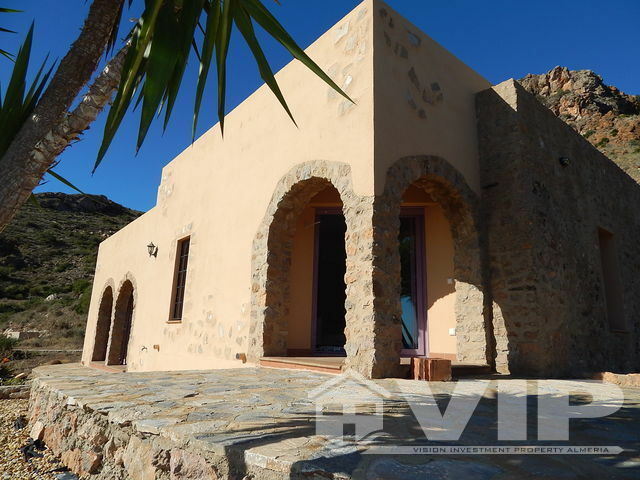 The house is Eco friendly with its own solar system and water supply (wells) with deposits for drinking water. 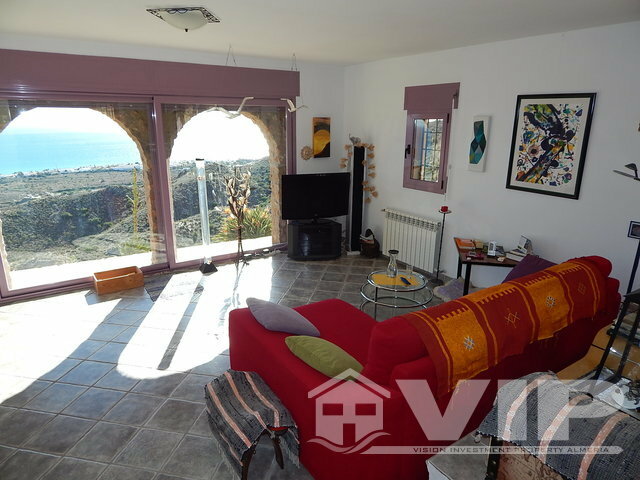 Each house is fully independent and equipped with Gas central heating and hot water through solar panels (150 lt. tank). 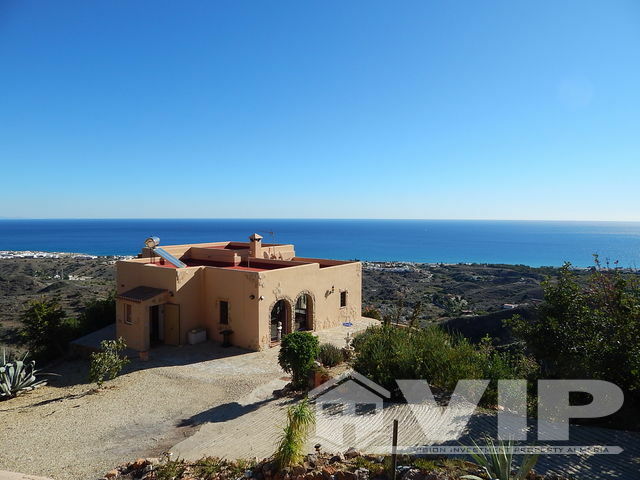 There are a small number of buildings on the land such as a old cortijo or goat stable used for storage, dog kennel with fenced in running area, and another which is the solar house approx 35m2 from the main house. The solar system is very efficient with 12 panels (8 X 246W, 4 X175W) and in the solar house there are 12 batteries of 800 AH giving a total of 9,600 AH volt system. The inventor is 24 V to 220 volt. There is also a wind generator with 400 W/H 24 volt. 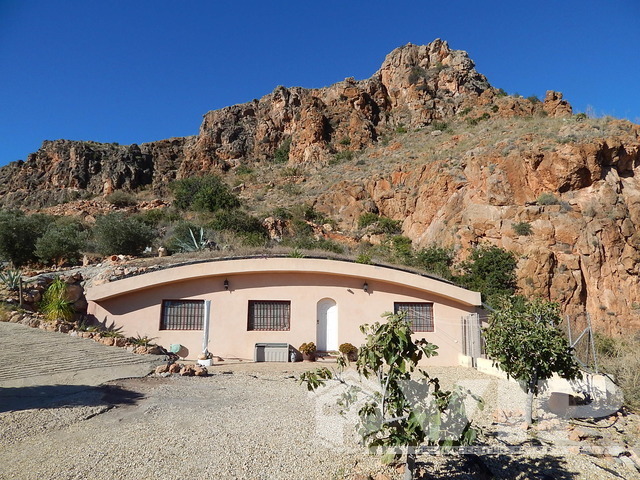 The houses have a number of water options in place, there is a private well with a pump that is 190 meters deep but this is not drinking quality as it contains salt and minerals however it is perfect for the garden. There is a deposit for drinking water in a separate deposit. There is a pump house with a diesel generator and a balsa of 230m2 / 400m3 currently used for the garden. This Balsa could be changed with a filter facility and utilized as a swimming pool with some modification works made. 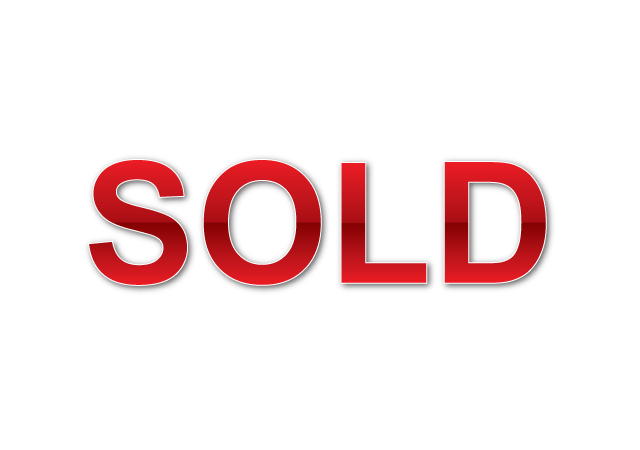 Parking is in place for two cars covered (car port) however due to the size of the land, parking is very easy. 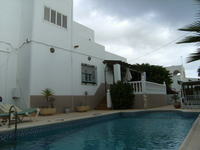 The houses have many extras and additions such as electric blinds, internet, Satellite and antennas for Spanish TV. 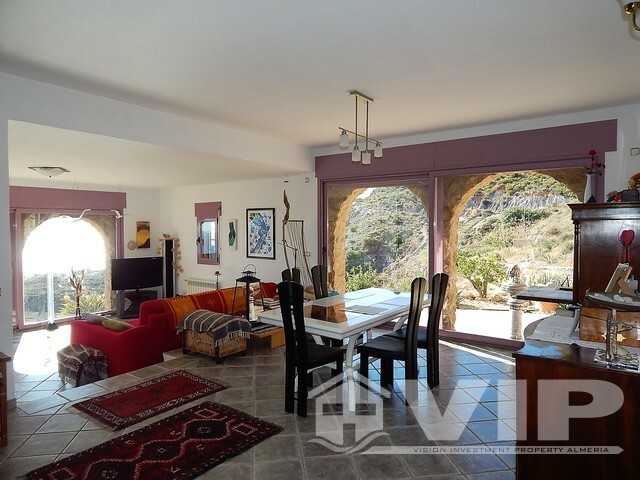 This is a property that has definitely has the wow factor and we invite serious interest to take the opportunity to visit as this is a one of a kind property, never seen on the market for sale until now.